The following excerpt is from the Blueprint for Conducting a Done with Bullying Program in in honor of National Bullying Prevention Month (October). If you are interested in participating, this to-do list is designed to keep you on track for your event! If you are interested in hosting a Done with Bullying event this October in honor of National Bullying Prevention Month, this week is a great time to begin pulling everything together to announce your campaign. Depending on what you have planned for Back-to-School, you may want to start talking about your participation in October’s National Bullying Prevention month now. Since our (Kovar’s) martial arts schools are located on the west coast, the local school year began in the middle of August. If you are located on the east coast with classes beginning after Labor Day, you may wish to push the following tasks off until next week instead. This week will have the most set up tasks, but if you do the work up front it will make the rest of your promotional efforts a breeze! Consider changing your social media cover photos to reflect your participation in National Bullying Prevention Month. We’ve created photos for you to download and use, and the change will catch the attention of your social media followers. 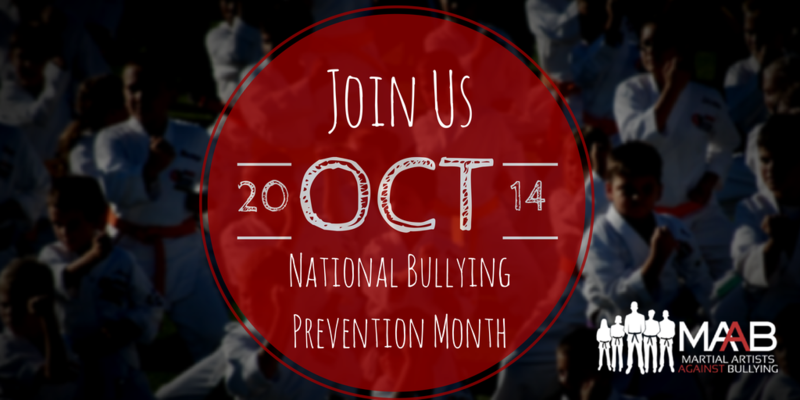 [Name of your school] is proud to announce we’re taking part in National Bullying Prevention month in October. 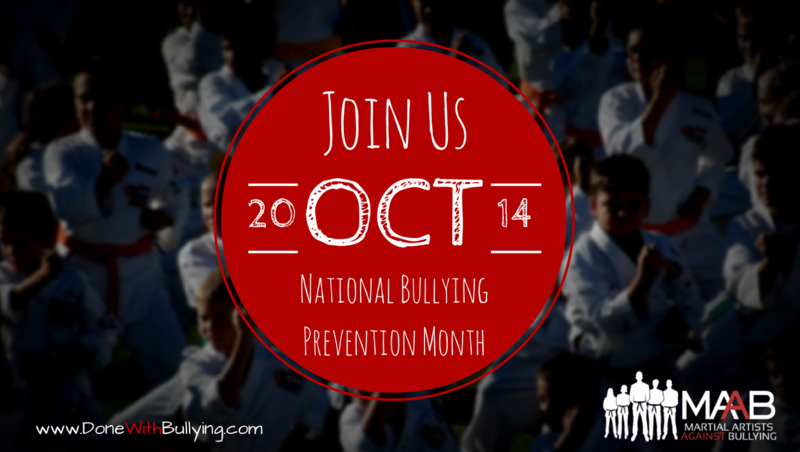 National Bullying Prevention month is this October. 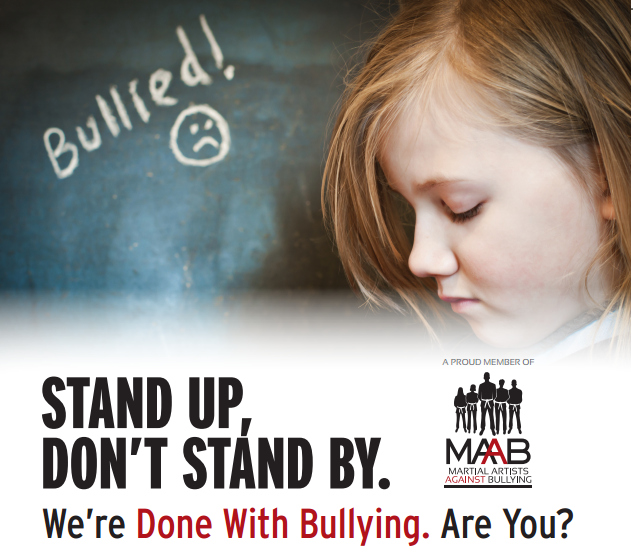 Will you take the pledge with us to end bullying? Click here to learn how to schedule Facebook posts in advance (the instructions will begin near the bottom of the page). 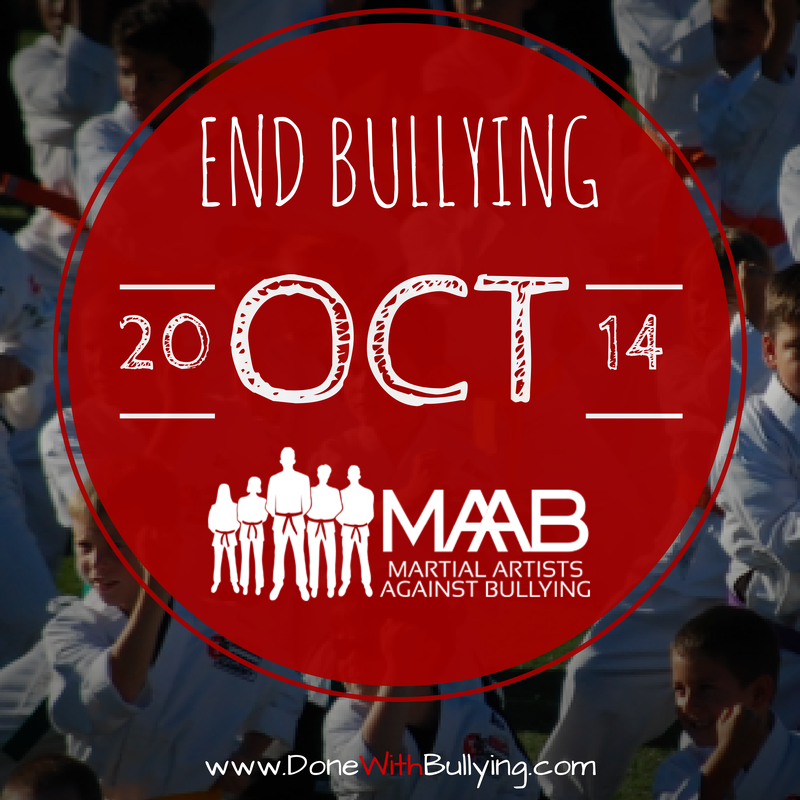 Decide which days in October you’ll be offering the Done with Bullying program (if you haven’t already). We’ve decided to host 4 one-hour weekly seminars throughout October. If you decide to host a 4 hour Done with Bullying seminar in one day, or host all four sessions in the same week, we recommend presenting in the order of the Course Outline. Ideally, try to be as consistent as possible when setting your schedule in order to provide the best opportunity for guests to return each week. You may also decide to host all of your sessions in a single week in October, or host a day camp at your school on a Saturday. These are all effective ways to conduct the Done with Bullying seminar— we have merely opted to spread out our events across the entire month. Once you have decided your schedule, you’ll be able to move on to the next steps. Click to download a cover photo to can use on your event page. Click here to download the poster template. Click here to download the flyer template. As soon as you have posters and flyers in your school promoting the event, you can begin announcing the event to your classes over the next few weeks.